Worried you don't have the knowledge to implement the most current Internet marketing strategies? Concerned that your website has low search engine visibility? Afraid your competitors are building a successful Internet presence? All of these are valid questions that companies need to take into consideration. Here, at Proceed Innovative we can handle all your Search Engine Optimization (SEO) and Pay Per Click (PPC) campaigns. Many companies do not have the manpower or knowledge to implement an Internet marketing strategy on their own. Successfully creating campaigns takes large amounts of hours that some companies just don’t have. Strategies are constantly changing and updating, which can be difficult for companies to keep up on. Here, at Proceed Innovative we stay abreast on the latest Internet marketing strategies to ensure that your brand and company are marketed well. 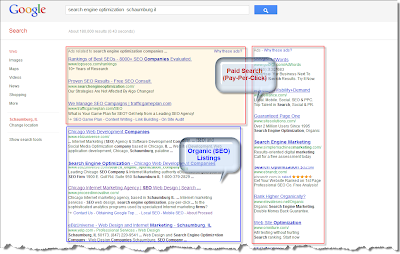 Search engine visibility is one of the most important aspects of Internet marketing. If your company is ranked low on search engines, this reduces the amount of people visiting your site. 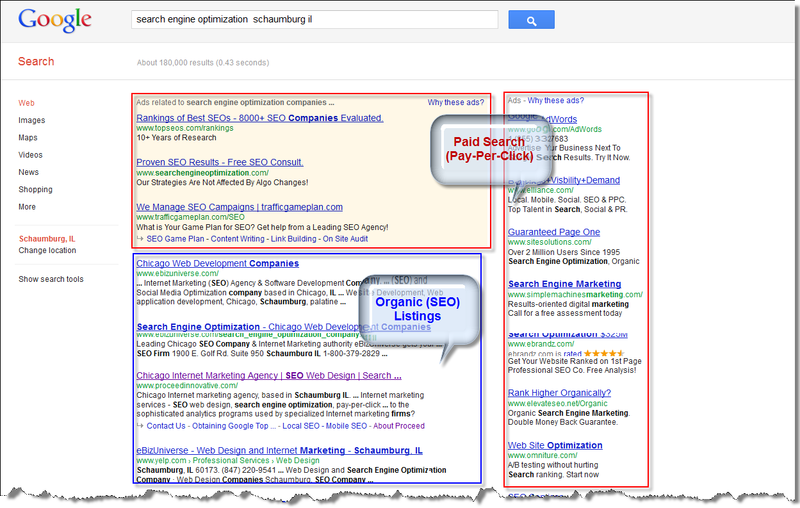 By implementing either SEO or PPC campaigns for your company, you can be guaranteed your rankings will start to climb. This will result in more visitations to your site as well as higher sales for your company. In today’s market, most of your competitors are creating marketing strategies. Search engine rankings are constantly being fought for. Starting an Internet marketing campaign as soon as possible will ensure that your company will be presented to the Internet world. What is Search Marketing? Why is Search Marketing Important? A search engine helps businesses to connect to their clients easily and effectively. The user types a word or phrase, called a query, into the search engine, which then displays a set of results that are relevant to the query. Most search engines provide two types of results listings in response to the same user query: organic (also called "natural" or "free") listings, and paid listings (i.e., advertisements). Google keeps these two types of listings separate, and ads are noted by the phrase "Sponsored Links" or “Ads” appearing above them. Based on Google there are 19,300,000,000 total monthly searches. Search requires a proactive engagement from the clients. Consumers engage when they need to find a product or a service. Search is a trusted source used by consumers during all phases of the purchase funnel and also, unlike traditional media, search is highly measurable. Organic Search aka SEO (Search Engine Optimization) is the art & science of increasing the prominence of a website within relevant organic search engine results where the click are free (not-paid). 75% of consumers use this area to search further. Search engine marketing (Paid Search or PPC) is the process of promoting and marketing a website through paid listings (advertisements) on search engines. Ads on most search engines operate on a pay-per-click (PPC) model, meaning that advertisers pay only when a user clicks on an ad, and not for the ad impression. Google’s paid search program is called AdWords. Site owners often choose to advertise their site instead of, or in addition to, optimizing their site for placement in the organic search results. Although it's necessary to pay for the clicks ads receive, advertising allows you to be proactive about when and where a listing for your site appears. Search is the primary way potential clients find sites. Based on Forrester research, 71% of the sites are found initially via a search engine. Search is the fastest growing channel. eMarketer projects 41.9% increase in online ad spending 2010-2012. Proceed Innovative has been helping clients since 1996 in Internet marketing and search marketing techniques. We are an Internet Marketing company that can assist companies with brand awareness and sales through marketing strategies like Search Engine Optimization (SEO), PayPer Click (PPC) training, PPC management, website promotion and web analytics consulting. Internet marketing is vital for a company to exceed and extend their brand name. Proceed Innovative is a full service firm and can offer your company all aspects of Internet marketing strategies. We provide vertical marketing expertise, which we offer to many companies as well as Fortune 1000 companies. We have the knowledge and trained professionals that can lead your business in the right direction with highly effective marketing campaigns that deliver results. At Proceed Innovative we provide a constant evaluation of client data. You as a client will be constantly informed of your leading campaigns as well as search engine marketing campaign modifications. We have the best-of-breed analytic tools that allow new participants into the analytics space to ensure they are taking advantage of all marketing solutions that best fit their company. No matter the size of your company, finding a Internet marketing company is essential. We can determine if your current website is leading to high traffic or if creating a new site is a best fit. We will ensure that the content and keywords on your site are creating rankings in search engines. Whether you would like to choose a SEO program or a PPC (or both) campaign, we can assist in your company’s higher rankings. Cool and awesome post I found here.